Despite the fact that the Samsung Galaxy S4 and S4 Mini are almost a year old Samsung does not stop looking for new ways to make these two more attractive before the mighty Galaxy S5 steps in. 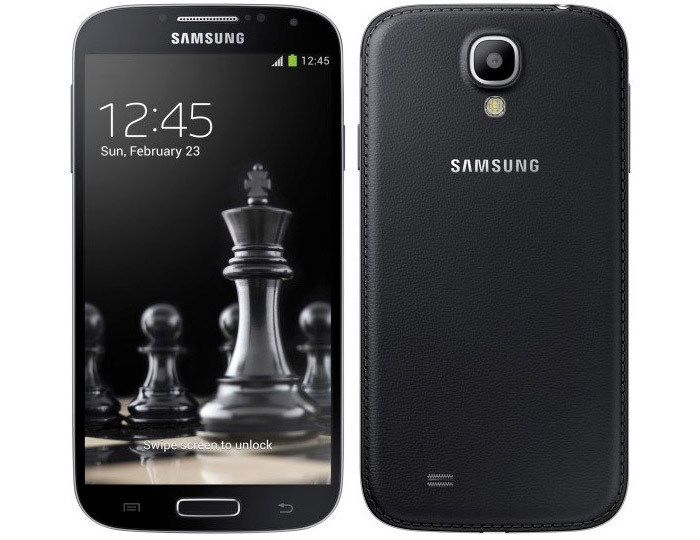 If you miss having the Galaxy S4 and S4 Mini in black then don’t – now they are available in exactly the same color. The newcomers also offer a leather back side, which is a nice addition no matter how you look at it and this is especially good news for people who did not like the plastic back of these two smartphones. Don’t expect much else out of these two as the hardware specs are the same as in the regular Galaxy S4 and S4 Mini smartphones. In regards to pricing it appears that the trendy black color will come with a price premium. There’s no official confirmation of the pricing of these two but online sources inform that the black Galaxy S4 will sell for USD 660 while the S4 Mini will cost USD 460. Both devices will become available in February 2014.